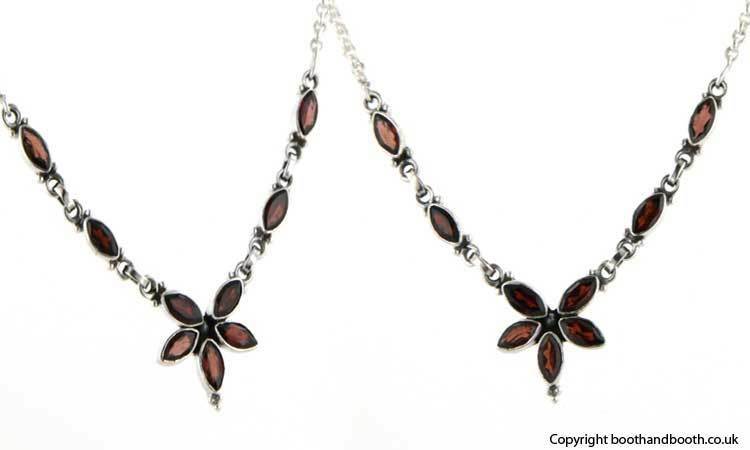 Garnet flower necklace set in sterling silver. 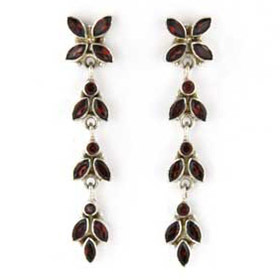 Elegantly styled, this garnet necklace will take you through the day and into the night. 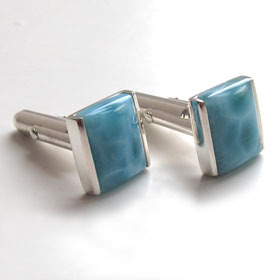 An easy to wear style, the shape sits perfectly into all necklines and once fastened, you can forget it except for the inevitable compliments! 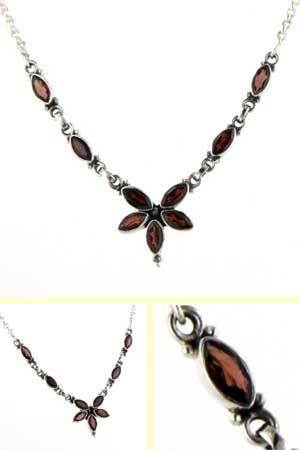 Totally charming, this gorgeous garnet necklace is a great buy. Set in sterling silver the necklace is finished with a silver link chain and fastens with a lobster claw clasp.